Sintra’s stunning setting on the slopes of the Sierra, among quiet woodlands and freshwater springs, made it a favourite summer retreat for the kings and queens of Portugal. Today, the town draws thousands of visitors each year, who typically visit on a day trip from nearby Lisbon, conveniently located less than an hours drive away. Architecture addicts and those who have a penchant for pretty palace’s find happiness here. If you’re just in Sintra for a day, enjoy a trifecta tour featuring stops at the town’s crown jewel, Palacio Nacional da Pena, Quinta da Regaleira, the estate of a quirky millionaire, and top it all off with a sumptuous feast on a verdant veranda at Tivoli Palacio de Seteais. 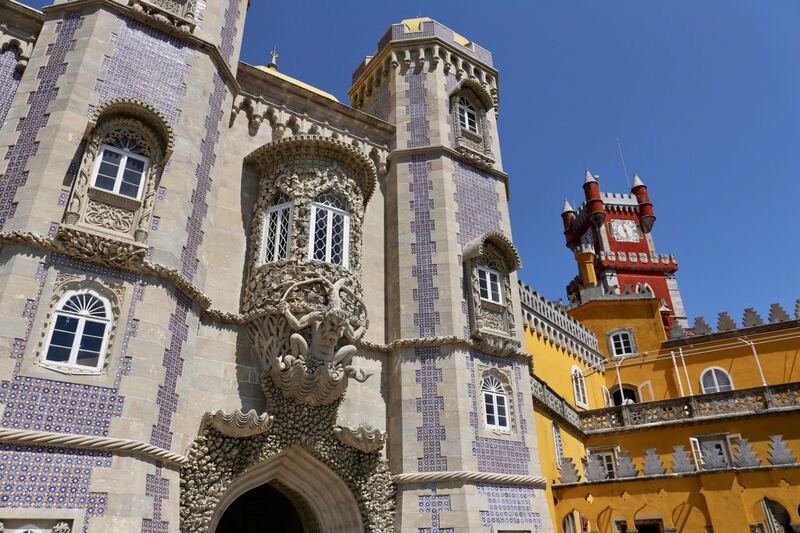 Sintra’s spectacular palace of Pena, features an eclectic medley of architectural styles built in the 19th-century for the husband of the young Queen Maria II, Ferdinand Saxe-Coburg-Gotha. It stands over the ruins of a Hieronymite monastery founded here in the 15th-century on the site of the chapel of Nossa Senhora da Pena. Ferdinand appointed a German architect, Baron Von Eschwege, to build his summer palace filled with oddities from all over the world. 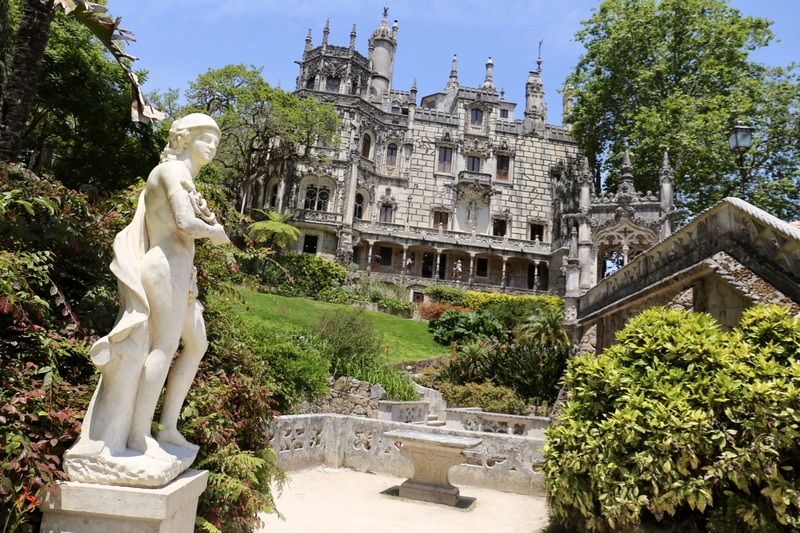 Built between 1904 and 1910, Quinta da Regaleira’s palace and extensive gardens are a feast of historical and religious references, occult symbols and mystery. The obsession of the eccentric millionaire Antonio Augusto Carvalho Monteiro, a visit is a must for anyone fascinated by quirky curiosities. It feels as though you’re tip toeing through the home of the Addams Family. 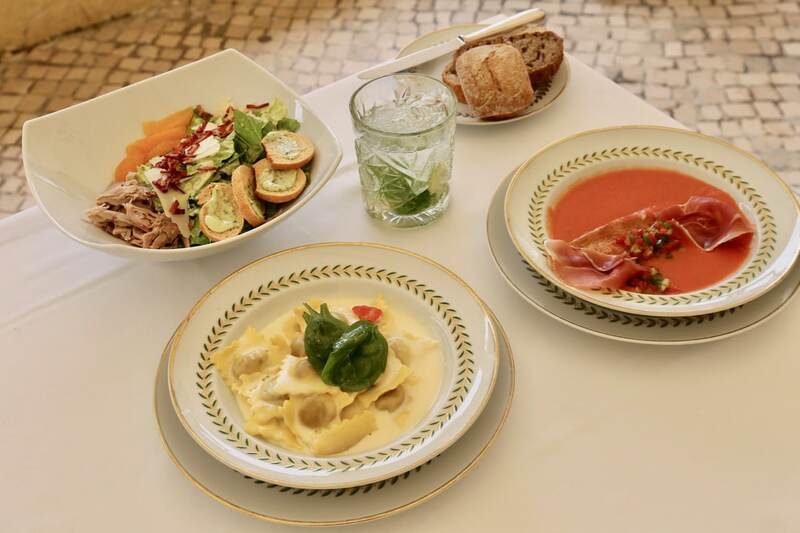 After breathlessly climbing around Sintra’s two most iconic castles skip over to Tivoli Palacio De Seteais for a luxurious lunch. 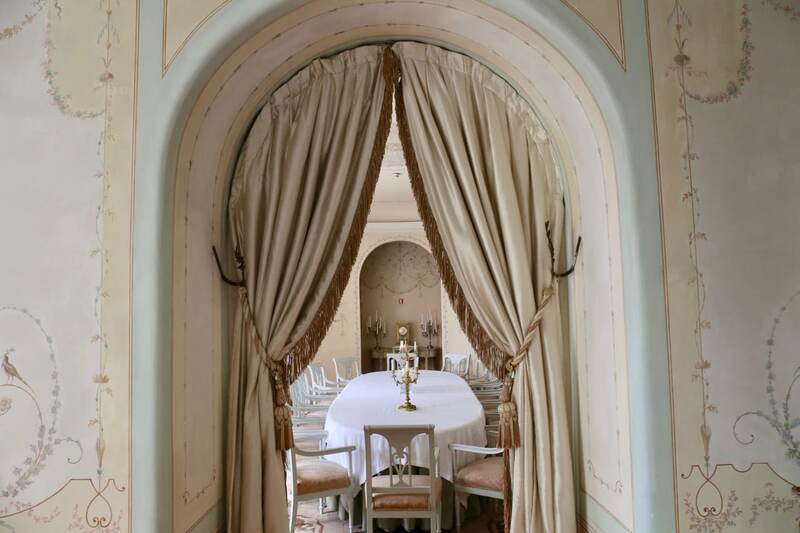 The petite 30-room boutique hotel is housed in an elegant, late 18th-century, neo-classical palace, with interiors of frescoed walls, tapestries and antique furniture. The magical property is set among perfectly manicured lawns where roaming peacocks play. Originally built in 1787 for the Dutch consul in Portugal. It became home in the 19th century to the illustrious Marquis of Marialva, who built the triumphal arch between the two wings of the palace to commemorate the visit of Prince Regent João VI and Princess Carlota Joaquina in 1802. 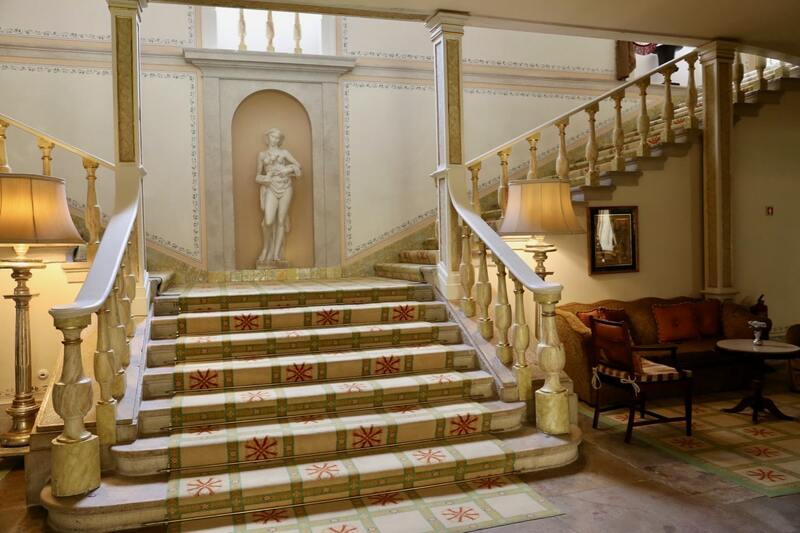 After a period of neglect it was turned into a hotel in 1953 and extensive restoration was carried out in 2009. Begin your culinary adventure at the hotel’s eye-popping bar, featuring original faded frescoes which make the space feel like an al fresco carnival. 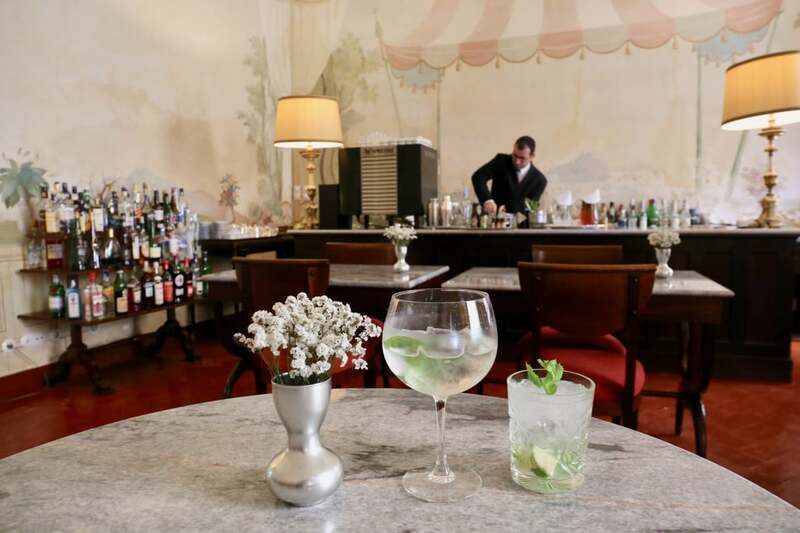 The hotel’s dapper mixologist have a choir of top shelf bottles at their disposal, and on a hot day your thirst is best quenched by slurping through a mint and lime muddled Mojito and Hendrick’s infused Basil Smash. Clutching your ice-cold glasses, sashay onto the restaurant’s elegant veranda, which sits perched over the hotel’s lush gardens and private pool. The culinary maestro’s at Seteais Restaurant curate a whimsical menu where local ingredients are celebrated with Portuguese flare. Highlights include a creamy caesar salad topped with roast duck, a cool gazpacho adorned with cured ham, and plump ravioli swimming in sweet cream.